Google’s war on keeping our browsers safe (Chrome) continues in 2016. Back in November, they announced that their Safe Browsing initiative — a project to protect searchers from deception tactics. Sites that use trickery to lure consumers into sharing personal information or unwittingly installing malware are now a target for Google. Their Safe Browsing technology provides warnings to searchers using Chrome, Firefox and Safari. If you’ve seen a “your system is out of date” button, either you’re probably using an unprotected browser and landed on an unsafe website. Let’s explore this new technology, how it’s making the web a safer place, and why there’s more pressure on website security maintenance. Malware Sites – that contain malicious software that downloads onto an unsuspecting user’s computer. Hackers then use this software to capture and transmit private or sensitive information stored on the computer. Phishing Sites – these sites pretend to be legitimate but are actually fakes. Often posing as banks or online stores, these phishing sites trick users to enter their username, password or other sensitive information. Safe Browsing alerts webmaster if a site has been hacked and requires clean up. Google even provides detailed steps to recover from a malicious infection. 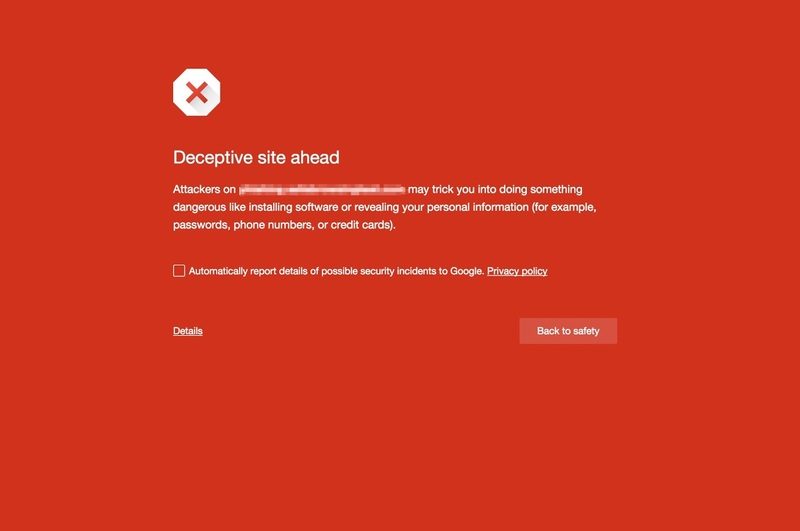 If your site has been compromised, you’ll receive a Google alert. You will also see a warning in Search. Not sure if a website is safe? Use this Safe Browsing Site Status search tool; all you need is the url. of your web browser, the website itself, or part of the device you are browsing on. These camouflaged buttons are the latest scheme Google is trying to eliminate. Here’s an example. The motivation for Google Safe Browsing is clear. The more you trust the ads you see online, the more likely you are to click them. In finding and destroying these deceptive buttons, the more searchers will trust ads controlled by Google (via AdWords and AdSense). Yes, it’s about increasing the amount of revenue via text ads and display ads. As well as changing people’s viewing habits online, this initiative will effect anyone who has a website that hosts these types of software. For the non-hackers reading this post, it’s another incentive to keep your website security up to date. Talk with your webmaster on the various ways to keep your website free of malware and infections. Is your site safe? Are you sure? Are you worried your site may have been hacked? Do you think the expansion of Google’s safe browsing technology will change how you do business?